Galaxy S8|S8+ - I tap the soft key of back button but it works as “Recent” button. Q: I tap the soft key of back button but it works as “Recent” button. Why? A: This may happen when the “Button layout” option in “Navigation Bar” setting is changed. 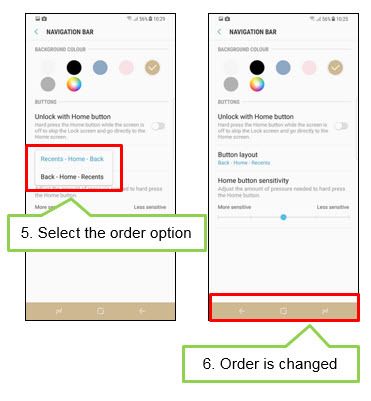 Navigation bar – Button layout, and then select the order which you want.